The caste system in India has always been an instrument of exploitation and social discrimination for appropriating surpluses in the process of production and exchange. Though the policy makers in India proudly claim it as (one of) the biggest functioning democracies in the world and had declared untouchability as illegal immediately after Independence, yet, the caste system, which is essentially anti-democratic and violates human rights, continues to hold sway in India, particularly in the rural areas, where oppression has been sharpest. However, studies based on primary data at the village level have been relatively scarce.1 The book under review, in this context, plugs an important gap in the existing literature. According to Ramachandran and Swaminathan (2002) the agrarian question incorporates three inter-related issues.2 First, it deals with the nature, extent and degree of capitalist development in the rural areas; the second aspect deals with the emergence of classes with the development of capitalist production relations and the third component is concerned with class struggle, alliances that must be mobilized for the resolution of the agrarian question. …if liberty means the destruction of the dominion which one man holds over another, then obviously it cannot be insisted upon that economic reform must be the one kind of reform worthy of pursuit. If the source of power and dominion is, at any given time or in any given society, social and religious, then social reform and religious reform must be accepted as the necessary sort of reform. The second section of the book has three papers that deal with detailed historical experiences of social and economic deprivation in three of the major States in India, Kerala, Tamil Nadu and West Bengal. It also discusses the historic role played by the Left and progressive forces in these States that combined movements against caste based social and economic exploitation with landlordism and British colonialism in the pre-Independence period. In the post-Independence period, directing struggles against the policies of the ruling classes in India became an important agenda of the Left in India. An important outcome of these struggles was the implementation of land reform in Kerala and West Bengal that had given a severe blow to an oppressive landlordism in these States, led to release of productive forces, resulted in marked improvement in human development indicators and overall improvement in the levels of living in the rural areas. These had empowered the historically deprived Dalits economically and socially. In some ways, these papers are responses to an oft-repeated critique that the Indian Left had historically neglected struggles and shied away from implementing policies that were socially emancipatory and given primacy to economic issues at the cost of the former. Four papers in the third section of the book bring to the discussion, economic issues faced by the Dalits in rural India. Three of these papers, based on village level qualitative and quantitative data, focus on the centrality of lack of access to agricultural land and other means of production in terms of providing livelihood security and accentuating social oppression for the poor and the marginalized in the Indian countryside, the bulk of whom are Dalits. Their landless servile status was bound up with a specific position in the caste hierarchy: without exception these labourers were termed ‘outcastes’, and the familiar forms of caste discrimination were enforced against them not only by their direct employers but also by the cultivating peasantry. In the post-Independence period, the class character of the state led to compromises in terms of altering the agrarian structure by destroying landlordism. As a result, land monopoly in the rural areas was preserved by allowing the intermediaries to retain large tracts of land in the form of khudkasht, and/or through evictions of tenants under the garb of ‘direct cultivation’ through hired labour. Whatever minimum pretensions the state had in terms of altering the agrarian structure in a progressive manner for a period of four decades after the onset of planning in 1950, was lost with the implementation of the orthodox structural adjustment programme since the 1990s as the agenda of land reform was sidelined in policy documents. Studies have shown the Gini coefficient of the distribution of land in India to be very high since Independence (see, for instance, Patnaik, 1986 and Ramachandran and Rawal, 2010). These meant that access to land remained concentrated among a small section of the rural population who, invariably, belonged to socially and economically dominant groups, while the bulk of the rural population, devoid of any access to land, were forced to participate as wage labour on onerous terms and conditions and placed at the lowest tiers in the social hierarchy. Typically, the latter have disproportionate shares in terms of ownership over means of production, assets and incomes. The fourth paper, based on secondary data, discusses the disastrous impact of policy shift in the banking system on Dalit households in rural India. The policy of financial liberalization had a distinct bias against the poor and the marginalized, for getting access to cheap finance. Thus, intensification of class exploitation and social oppression are the natural outcomes of the contemporary phase of capitalism with the initiation of orthodox structural adjustment policies. It can be argued, based on these papers, that the liberation of Dalits must be one of the necessary conditions for the resolution of the agrarian question in India. Five essays in the fourth section of the book conclusively show that Dalits in the rural areas were left out of the neoliberal development trajectory in India. Benefits of growth did not trickle-down to the lowest tiers of the social and economic hierarchy in the rural areas. However, it was also not a case of undifferentiated misery across India, as the studies reveal. A small stratum at the top have continued with the process of accumulation in production in agriculture and outside of it. 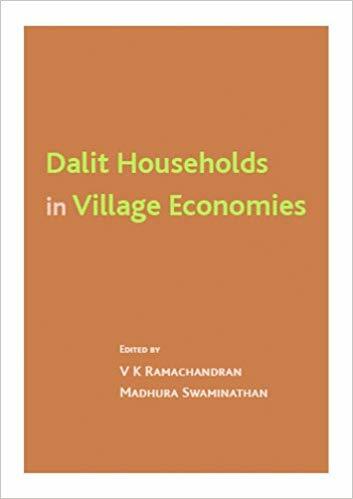 As a result, in all the villages studied, there existed huge disparities in the ownership of assets, including land and livestock, access to education and access to household amenities in which Dalit households were far worse off as compared to Other Caste households.5 Whatever little gains Dalits had managed to accrue through government policies in the pre-reform period was lost with the initiation of market oriented reforms. Additionally, withdrawal of the state from economic activities had led to the dilution of the reservation policy in the sphere of employment and education, thereby further jeopardizing the process of economic upward mobility of Dalits. Despite providing vivid accounts of social and economic deprivation of Dalits in rural India based on historical accounts and primary and secondary database, there is an important shortcoming in this book. There is no study in the book that has incorporated the aspect of gender in detail even though the editors have argued that the agrarian question in India remains unresolved without incorporating the issue of gender. In view of this, a few studies incorporating discrimination and exclusion specific to Dalit women in rural India would have added richness to the content. Nonetheless, these studies enrich our understanding regarding caste based discriminations in rural India in various complex forms, and the ways and means through which it has survived by adapting to new socio-economic changes and taking on newer and insidious forms. Papers in this book reveal that despite having a constitutional obligation to eliminate inequality and caste based deprivations and promote social justice, the Indian state facilitates the former and compromises with the latter goal. Ambedkar, B R (2014), The Annihilation of Caste: The Annotated Critical Edition, Verso Books, London and New York. Deshpande, Ashwini (2016), ‘Caste Discrimination in Contemporary India’, in Basu, Kaushik and Stiglitz, E Joseph (eds.) (2016), Inequality and Growth: Patterns and Policy (Volume II), Palgrave MacMillan, New York, pp. 248-273. Patnaik, Utsa (1983), ‘On the Evolution of the Class of Agricultural Labourers in India’, Social Scientist, 11(7), pp. 3-24. ——— (1986), ‘The Agrarian Question and Development of Capitalism in India’, Economic and Political Weekly, 21(18), pp. 781-793. ——— (1999), ‘The Cost of Free Trade: The WTO Regime and the Indian Economy’, Social Scientist, 27(11/12), pp. 3-26. ——— (2003), Global Capitalism, Deflation and Agrarian Crisis in Developing Countries, Social Policy and Development Programme Paper Number 15, UNRISD, Geneva. Ramachandran, V K and Swaminathan, Madhura (2002), ‘Introduction’, in Ramachandran, V K and Swaminathan, Madhura(eds. ), Agrarian Studies: Essays on Agrarian Relations in Less-developed Countries, Tulika Publishers, New Delhi. Ramachandran, V K Rawal, Vikas (2010), ‘The Impact of Liberalization and Globalization on India’s Agrarian Economy’, Global Labour Journal, 1(1), Special Issue: Globalization and Labour in India and China, pp. 107-130. This is an Open Access journal. Registrar General of India, (2011), Census of India, Ministry of Home Affairs, Government of India. Shah, Ghanshyam et al (2004), Untouchability in Rural India, Sage Publications, New Delhi. Shantanu De Roy teaches Economics in the Department of Policy Studies at TERI School of Advanced Studies, New Delhi.